Waistcoats are too often than not relegated to the back of the wardrobe where they only find relevance at weddings and black tie events. This shouldn’t be so. This guide will help you make the most off waistcoats so you can get more use out of them. Waistcoats popularly called suit vest commonly used as formal dress accessories to spice up a formal looking attire. But the use of waistcoats transcends this. With a little confidence and some common sense, the waistcoat can become a staple dress piece at your closet. Waistcoats are stylish as well as practical, they can provide warmth during the winter season and can help you transit from your coat to a more relaxed state allowing you to roll up your sleeve and still look attractive. If you are a newbie to wearing waistcoats you might want to start with something simple at first before upgrading to more complex styles. Look to plain styles that can practically go unnoticed under a suit. 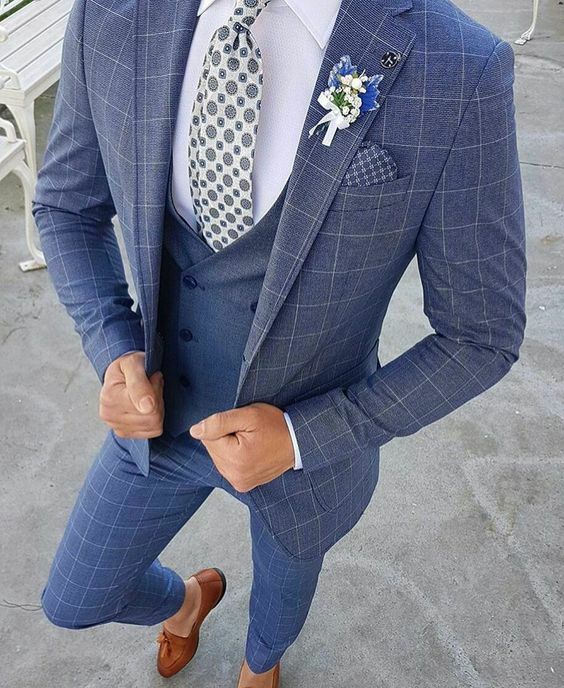 After mastering the plain simple style you can upgrade to more complex colors, patterns, shirts, and fabrics to make your look more contemporary. If worn wrongly you can quickly look outdated on waistcoats, so it’s imperative that you follow this guide to the later on how to style your waistcoat properly. 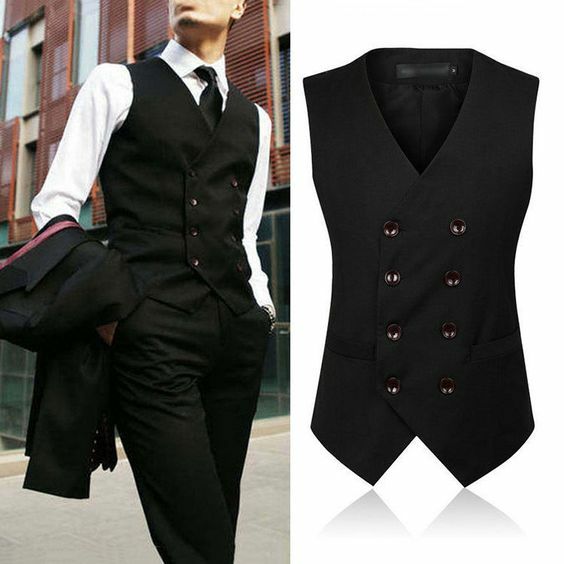 The style of waistcoat you buy must be predetermined by how you intend to wear it. You must have a decent collection of the waistcoat to mix up with various outfit combinations in other to appear really classy. Here is a rundown of some of the more popular styles of waistcoats to consider adding to your wardrobe. If you aim of buying a waistcoat is for casual everyday wears you need to stay clear from those with features of formality. All those shiny and matching colored waistcoats are all suited for formal attire. Stay clear of them. 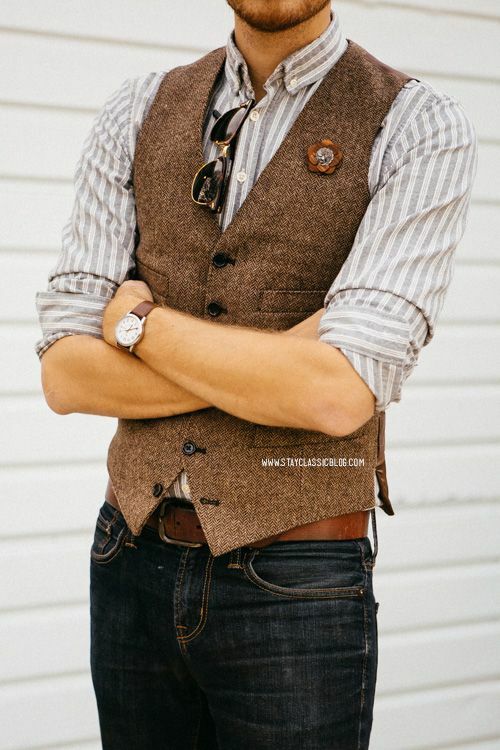 If you want to go casual with waistcoats opt for tweed or corduroy to add a little bit of texture to your look. Anything that will make you look sleek should be reserved for casual wears. 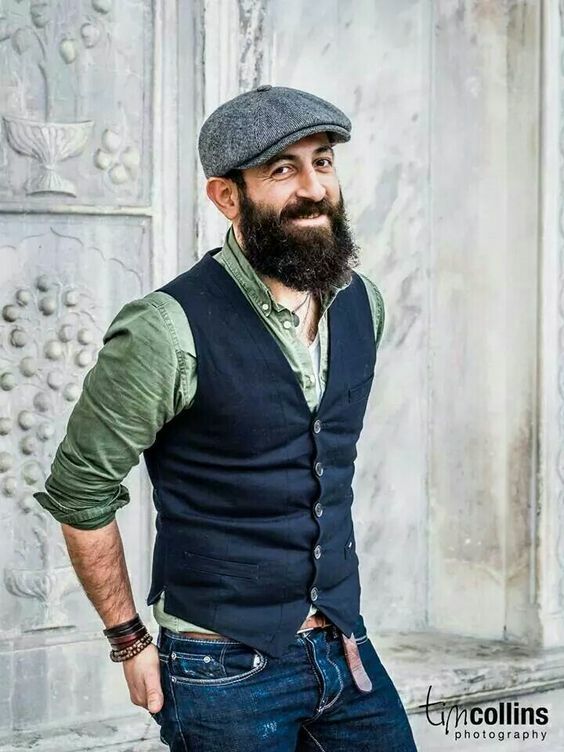 As opposed to double-breasted waistcoats single-breasted waistcoats work better on casual wears. You can use a pair of slim fitted jeans, joggers or chinos for your lower half. 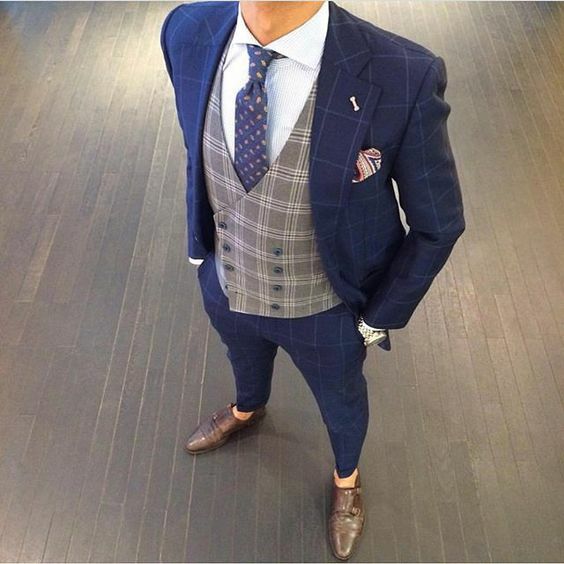 Don’t get caught in the trap of trying to match your pants with the waistcoat, for casual wears it isn’t important. Next, do away with your jackets, for now, to keep things down casual. Feel free to break the rules with a casual outfit; you will get away with it. Formal occasions require you to dress up a bit, those waistcoat dress etiquette all come into play here. 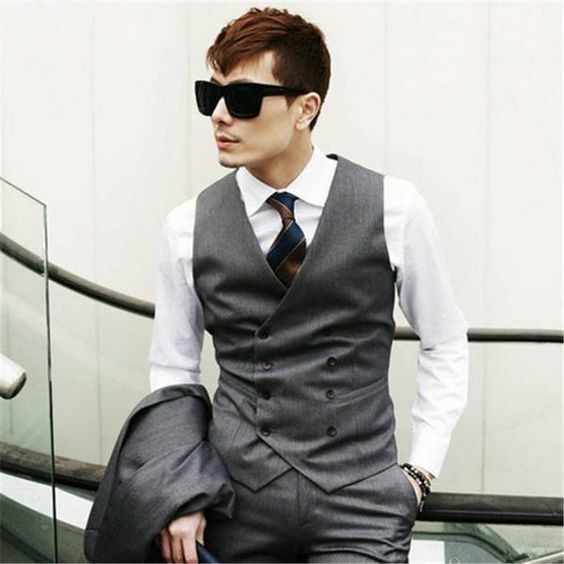 With formal attires, your waistcoat must be fitting, not loose, not too short and not too long. It has to be just at the right length and with the right fitting. 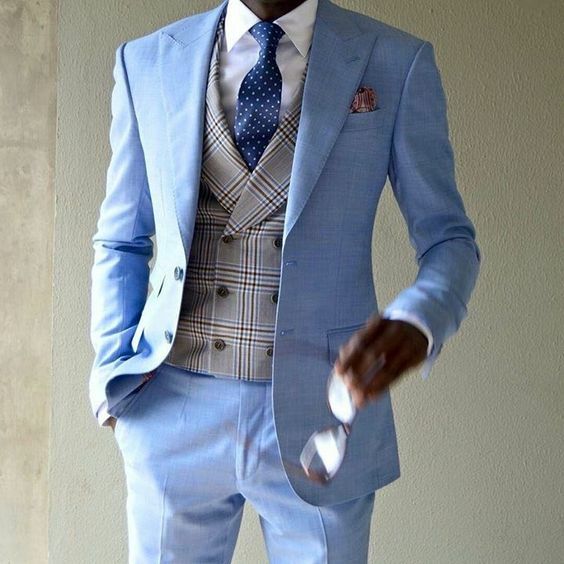 Three piece suits all come with the right fitted waistcoat to match. If you are not using a three-piece suit with readymade coats, stick to single-breasted coats in a slick fabric. They are suited for work, marriage events or dinners. Opt for traditional colors like grey or navy. 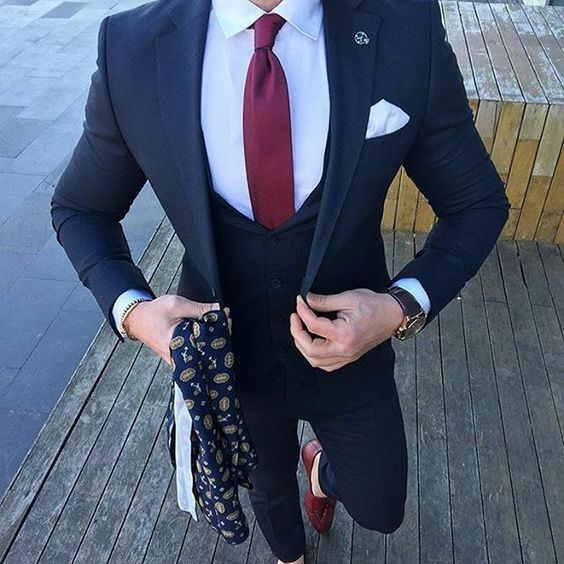 Colors like wine red or olive green aren’t common and can instantly make you stand out. Just make sure you are wearing appropriate matching formal attires. Sometimes the dress codes to some formal events are vague. In that case, match the waistcoat with your jacket and suit just as a three-piece suit would have it. Alternatively, you can add more excitement to your outfit by pairing using a bright patterned waistcoat underneath your suit jacket. For formal occasions like a wedding or dinners, a three-piece suit is a way to go although you can swap the waistcoat for something soft. 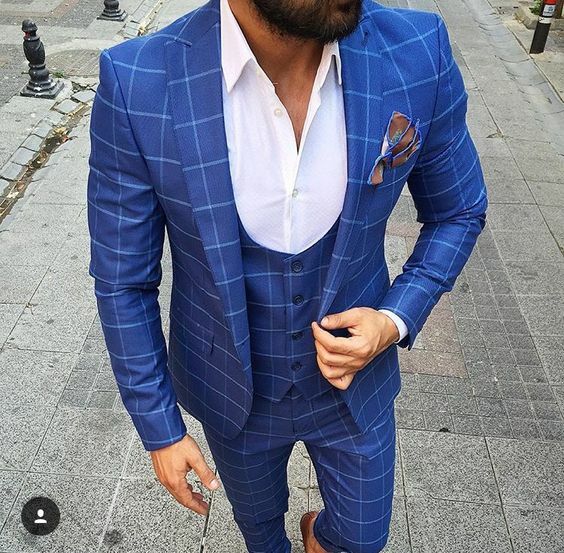 Other preferences like double-breasted or single-breasted, V-shaped neck or u-shaped, lapels or no lapels all strictly depend on your personal style and taste. 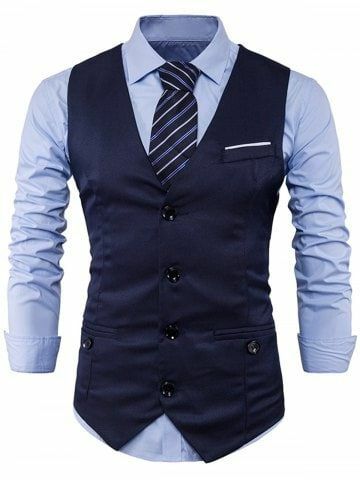 Generally, a U-shaped waistcoat pair nicely with the bow tie or complete tieless, the height of a V-neck waistcoat will contrast nicely with a colored jacket. Above all stick to sleek fabrics and ensure they fit in properly. Black tie event dress code requires you to wear a white shirt, black dress shoes, black bow tie a waistcoat and a dinner jacket. Stick to the basic dress code of a black tie event and try not to be too clever about it or else you risk appearing odd. Choosing a check or stripe waistcoat is really down to your own personal preferences. So there is no basis for comparison, both are widely used and popular in the fashion world. They accessorize plain shirts properly and can nicely replace the waistcoat in a 3-piece suit. The pinstripe suit is easy enough to pair with a white shirt for formal occasions. They will equally look good with either a check or stripe waistcoat. 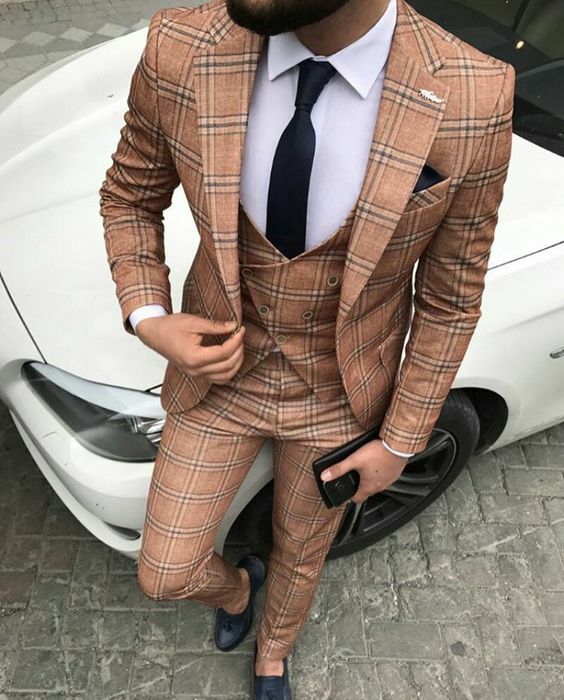 Opt for smaller patterned checks than wide checks because smaller patterns are easier to style, more discreet and can match seamlessly with a neutral blazer. Different textures of the waistcoat you choose to wear can affect the feel and look of the entire outfit. Tweed, as we discussed earlier, are more casual while cotton is more formal. Tweed can come in handy during the winter season for layering with a different textured material. Think slim cut jeans and flannel shirts and you have a winning combination. For a smart look, opt for cotton fabric instead. Short sleeves can also be worn with a waistcoat, it just depends on the dress aim. Use short sleeves with a waistcoat in summer and an overcoat instead of the three-piece suit jacket in winter. If you’d rather use a cotton waistcoat for casual wear you will find that dressing it down can be a hard task. You will look awkward in a jean trouser rather opt for a chino to level things up. 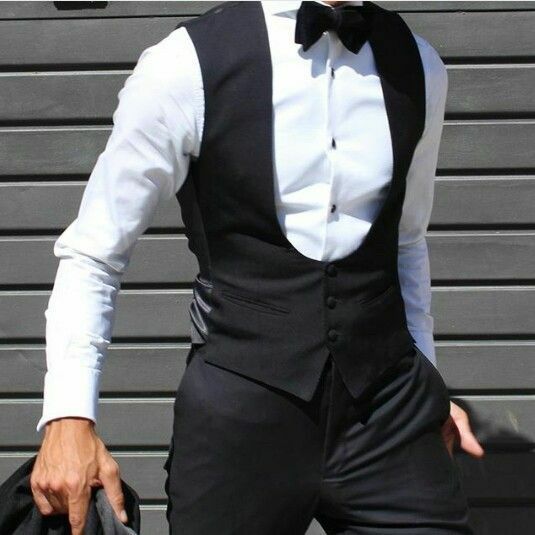 The difference between a single-breasted waistcoat and a double-breasted waistcoat is in the row of buttons. Choosing either boils down to your own personal taste. The lapels of single-breasted coats give them a sleek appearance making them the more contemporary option over double-breasted coats. They are the go-to option for everyday wear because of the ease at which you can dress them down. Double breasted coat, on the other hand, are the more traditional type. They are more formal looking than their single-breasted counterpart and can hardly be dressed down. If you have a social gathering with strict dress codes, double-breasted waistcoats can work perfectly. Nowadays you can mix and match the colors of your choice. However, you want it and in whatever way you deem fit. The color coordination of a three-piece suit makes them the ideal choice for dinners, work, and other formal events. If you want to go the color matching route try as much as possible to keep the colors all in the same shades. A little deviation and your outfit could appear sloppy. For summer go bold with a yellow waistcoat on a royal blue or navy suit. For winter season draw inspiration from a dark green waistcoat and a brown jacket.